Willem Van de Velde the younger is one of the best known and most influential marine painters of the 17th Century, and is considered, with his father (Willem van de Velde the Elder, 1611-1693), a founder of British marine painting. Moving to England in 1672/3, the pair were appointed chief admiralty painters to King Charles II, and also received great patronage from various members of the nobility, generally painting battle scenes. 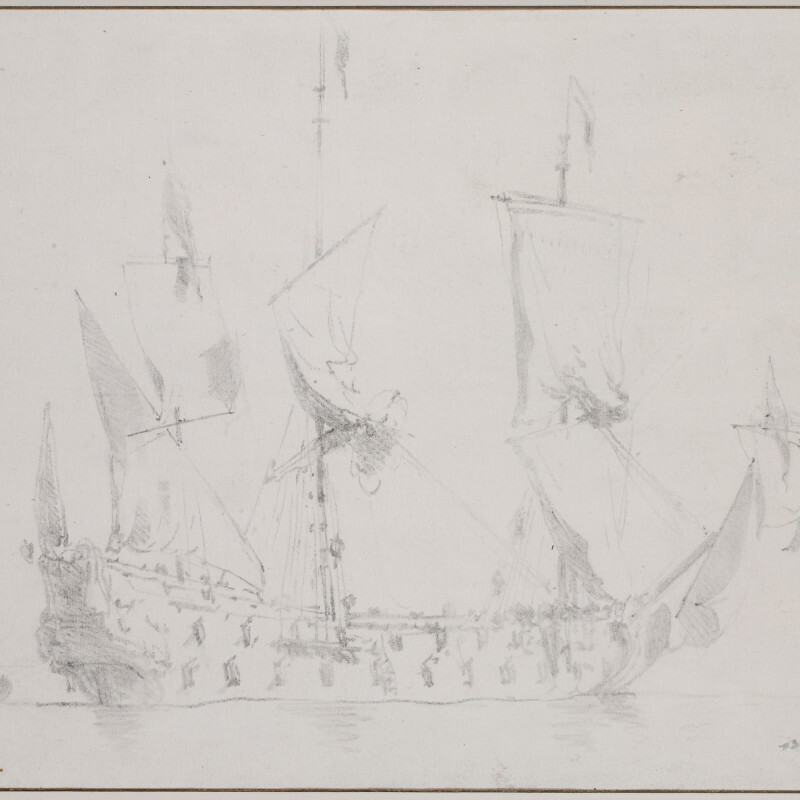 Van de Velde the younger in particular is noted for his delicate handling of paint and great attention to detail in areas such as rigging and sea mood.